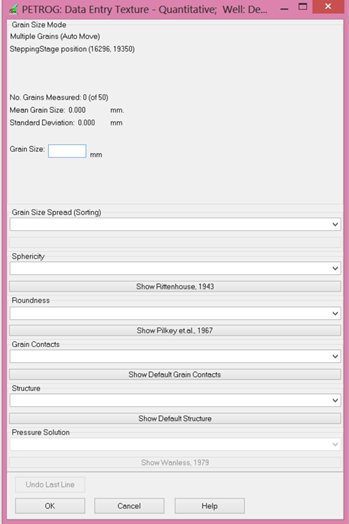 Grain size is determined from a calibrated video image/eyepiece scale value, by defining major and minor axis. 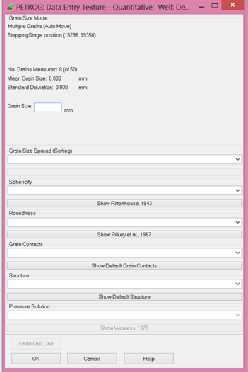 Alternately a measurement may be entered directly as a 'real' value. 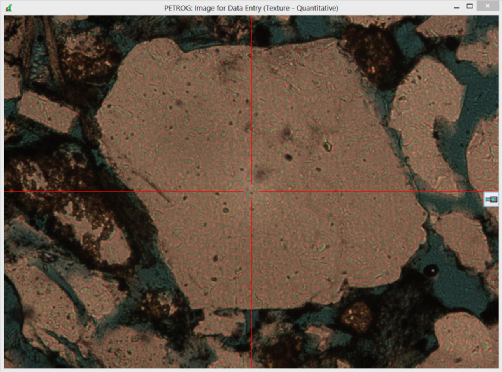 Additional textural data (grain morphology & rock fabric) are entered into PETROG using user-selectable, on-screen grain morphology visual comparators.